According to a report in Bloomberg, Apple's previously rumored 12.9" iPad won't enter production until September. This upcoming large iPad aims to compete with the Samsung Galaxy Tab Pro 12.2 and other large tablets that are already on the markets. 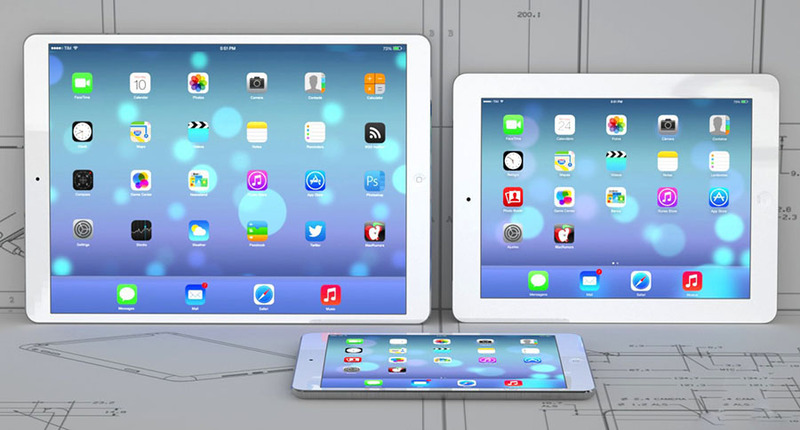 The Cupertino giant allegedly planned to begin manufacturing the tablet during this quarter. Delays in the supply chain for display panels is said to be the reason for the new production timeline. Apple has large expectations for the upcoming 12.9" iPad. The device will have the task to reinvigorate the iPad family's slumping sales. The latter have been strongly affected by the launch of the large-screen iPhone 6 family.